This entry was posted on June 3, 2010 by FS Photography. It was filed under Animals, Birds, Nature, Photography, Swan, Swans, UK, Water and was tagged with Abbostbury, Abbotsbury Swannery, Dorset, FS Photography, Funky Slug, Slightly Slug'd, Slug'd, Swan, Swannery, Swans. LOL! LOVE the title AND the image! Good god, man! I cannot even begin to imagine THAT amount of swans! What a fun puzzle they would make!! The two touching beaks in the lower left are precious! The image is awesome. The title brings it over the top. I would buy this as a puzzle, it’s a great one. 5k pieces. :) Heck, it even has the swan “heart” in the bottom left corner. I like the title of the photo and the photo itself. This is an awesome shot. Free food!!??? I’m moving! haha… Awesome! You know I love this shot. It’s truly an unreal amount of swans! Woah! How cool is that! Wow! “Wicked” cool, as we say in New England. Fantastic title and a great shot. :) It reminds me a little of an Escher birds sketch. Good heavens! What an astonishing photo! Looks like those packed penguins in the artic! Great photo! 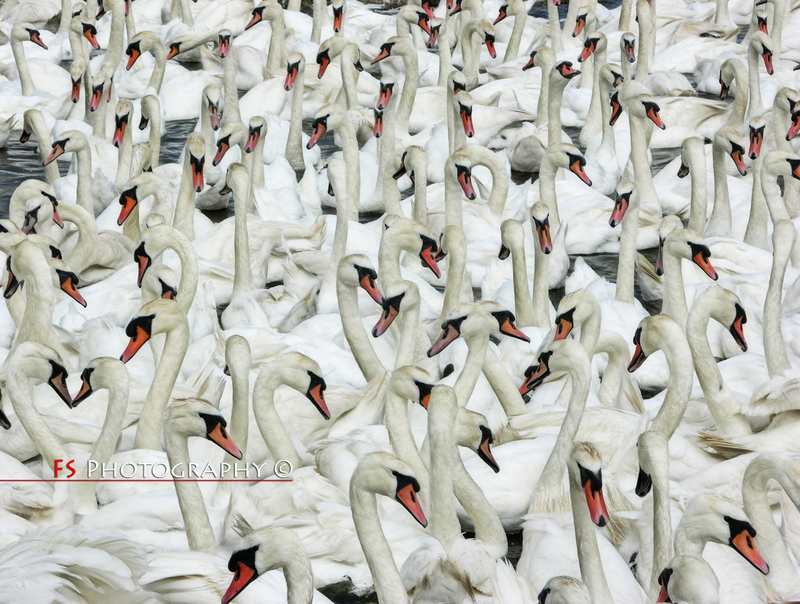 Love this one Brian, so many swans!